Switzerland's flag carrier Swiss International Air Lines (SWISS) will launch daily flights between Sofia and Zürich as of March 30, 2008. The opening of the destination is prompted by the increased passenger traffic between Bulgaria and Switzerland. 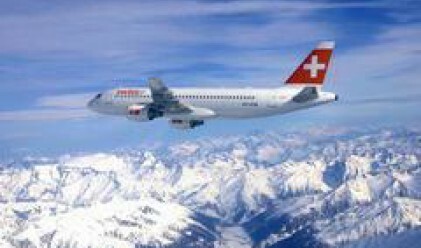 The line will be serviced by Airbus A319 aircrafts and will provide connections to other destinations within SWISS' network. The Sofia-Zurich flight will depart at 17.00 o'clock and will arrive at 18.20 o'clock local time. The Zurich-Sofia flight will depart at 13.00 o'clock and will touch down at the Sofia airport at 16.15 local time. With the opening of the new line the passengers flying from Sofia will have convenient connections via Zurich to Amesterdam, Brussels, Paris, Copenhagen, Dusseldorf, Rome, Milano, Hamburg, London, Nice, as well as to Sao Paulo, Santiago, Bangkok, Hong Kong, Singapore and Johannesburg. The Swiss Railways also provides fast connection between Zurich and the international airports in Basel and Geneva. SWISS serves 75 destinations around the world from its Zurich hub and from Basel and Geneva international airports. The company has a fleet of 73 aircrafts, including 53 Airbus and 20 Avro RJ100 planes. To mark the launch of the new Sofia-Zurich destination SWISS will offer promotional airfares of 79 euros for economy class and 379 euros for business class ( airport fees not included).